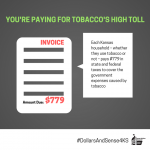 Missourians pay for having the lowest tobacco tax in the country in so many ways. 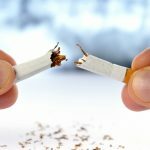 Missouri spends more than $2 billion annually in health care costs directly related to smoking. We can’t afford to continue on this path. Proposition B is our chance to break old habits. It would increase the state tobacco tax by 73 cents and generate $283 million every year for investments back into our communities. Tobacco-related diseases are the number one cause of death in communities of color. Studies have shown the tobacco industry markets to and targets communities of color to sell their deadly and addictive products. Twenty percent of the new revenue generated by Prop B will go to help adults quit smoking and keep our children from ever starting to smoke. Locally, clinics like Swope Health Services and the Samuel Rodgers clinics are the types of clinics that will get new resources to provide programs that help our local communities. The remaining funds would be invested directly into our children’s schools, colleges and universities. Here in our urban core, the Kansas City Missouri School District will receive over $2.3 million annually in new funding from Prop B. Not only would Prop B raise much-needed money for Missouri, but it would save lives from cancer and other deadly diseases caused by tobacco. With the 11th highest smoking rate in the country, we can’t ignore the impact that this change would have on our health and education. Voting Yes on Prop B on Nov. 6 is the right choice for all Missouri families.